Scogin-Aire Mechanical, Inc. is proud to serve the Conroe community! 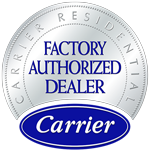 About Conroe, TX - Happy to be your hometown Heating & Air Conditioning Contractor! Located in southeast Texas is the City of Conroe, a beautiful city positioned in Montgomery County. Conroe is located about 40 miles north of Houston, Texas and about 140 miles west of the Louisiana state line. As aforementioned, Conroe is located in Montgomery County. The city serves as the county seat and is the largest city therein. According to the United States Census Bureau, there were about 80,000 people living in Conroe in 2016. The history of Conroe dates back to 1881 when Isaac Conroe, a lumberman from Houston, established a sawmill along the banks of Stewarts Creek, located two miles east of the International-Great Northern Railroad's Houston-Crockett line. When the mill was established, a small tram line connected the mill to the Great Northern track. However, Isaac Conroe quickly transferred his operation to the rail junction. The new mill became a rail station and in 1884 a post office was established. Individuals soon began moving to the area which would become modern-day Conroe, Texas and a community was quickly established. Individuals who visit Conroe will discover a quickly growing community. Conroe is home to excellent amenities and facilities, locally owned businesses, established neighborhoods, good schools, and friendly people. Golf courses, historic landmarks, shopping malls, and museums are also located in the city. In Conroe, Texas, there is something for everyone. Conroe experiences mild winters and warm summers. It is necessary for residents of the city to have easy access to heating and cooling systems. Daytime temperatures throughout the summer months easily reach the low-100s. During the winter seasons, temperatures can dip below freezing. Efficient heating and cooling units protect Conroe residents and their homes from potential damages caused by extreme temperatures. Depending on the season, an efficient cooling and heating systems can literally be a lifesaver for Conroe residents.